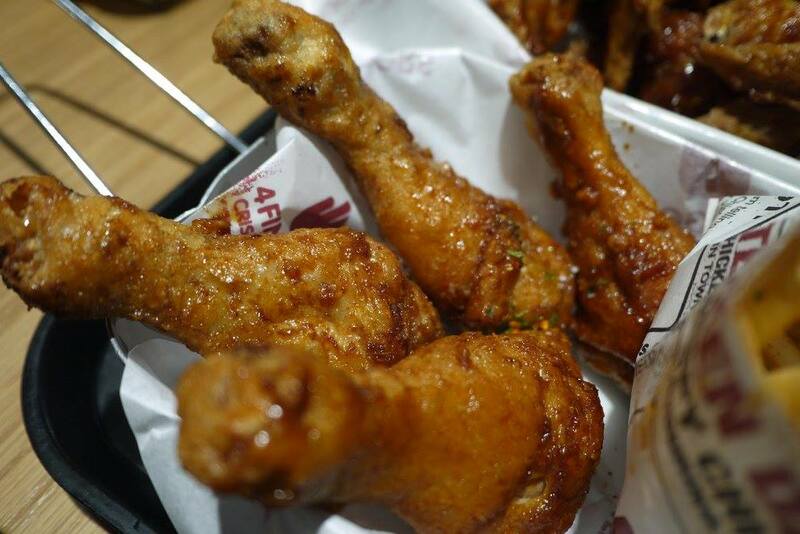 Crispy outside and juicy inside fried chicken anyone? We have found it at 4Fingers, a food chain that is nuts about chicken. According to 4Fingers, they have discovered the best Asian crispy chicken in New York City’s grungy subway scene, we knew we had to share it. And so began the revolution of crispy chicken. 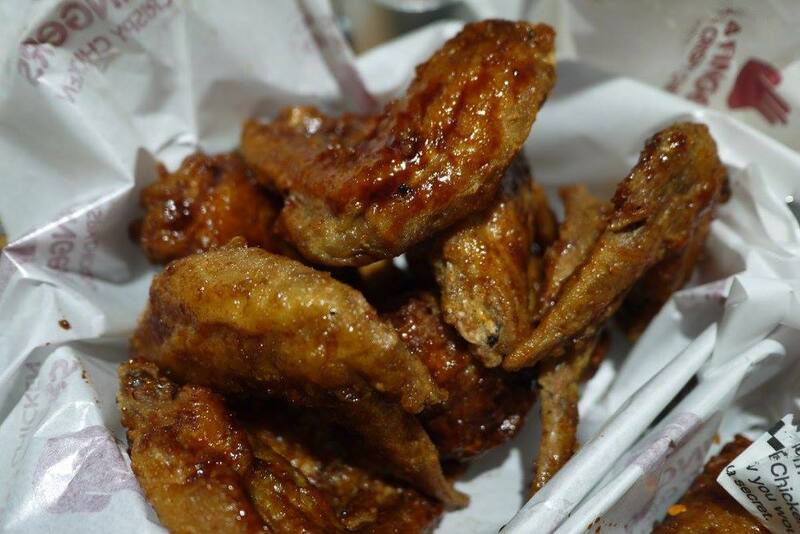 We Malaysian love fried chicken, but you haven't have the best fried chicken if you haven't try 4Fingers. Spicy, crispy, unique and downright addictive – it’s chicken that’s so bad, it’s good. We were happy to have a great fried chicken dinner at 4Fingers Sunway Pyramid awhile ago. In conjunction with the grand launch of the new brunch, they have also introduced a new bundle meals for a limited time only for 3s and 4s. 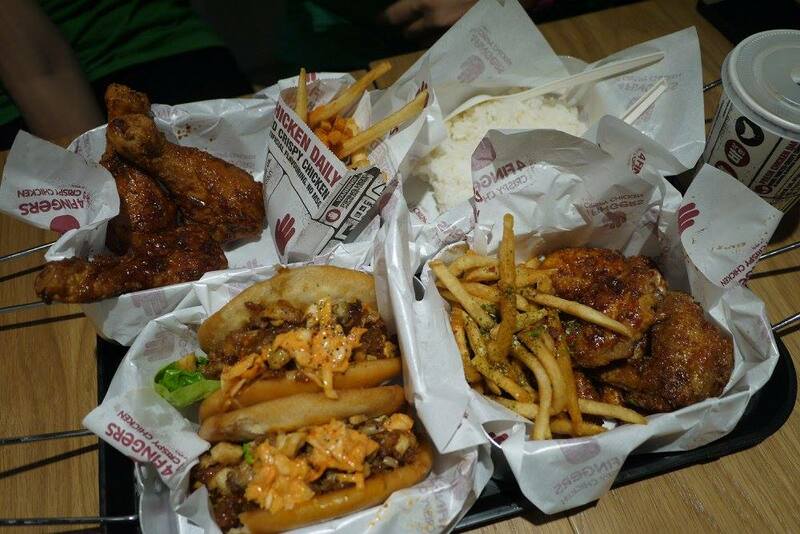 4Fingers' TRIO platter is priced at RM60.70, which is perfect for 3 people. 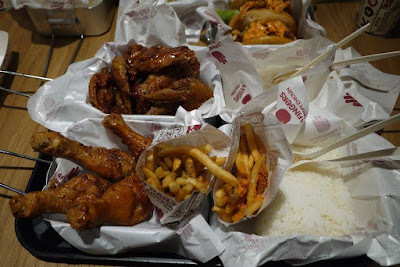 Consists of 3 pcs of drumsticks, 6 pcs of wingettes and drummettes, Katsu Sandwich or B.F.F /burger, 2 fries, 1 rice and 3 drinks. 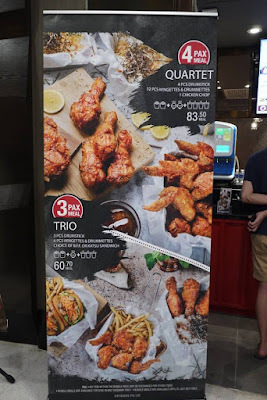 4Fingers' QUARTET platter is priced at RM83.50, which is ideal for 4 people. It consists of 4 pcs of drumsticks,12 pcs of wingettes and drummettes, Chicken Chop, 2 fries, 2 rice and 4 drinks. We have ordered the QUARTET platter to share among our family. All of us love the fried chicken a lot, they look and taste excellent. We would strongly recommend the kimchi coleslaw too as it taste very nice, not spicy at all. The 4Fingers' TRIO and QUARTET platter is available for limited time only until 31st Jul 2017. 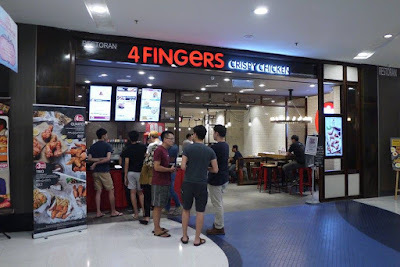 Faster go and try it out with your friends and family ok.
Now, 4 Fingers Crispy Chicken is a self service restaurant, where you place your order at the cashier, and you will be given your drink and a buzzer after paid. Sit back, relax and wait for the buzzer to buzz and collect your order. 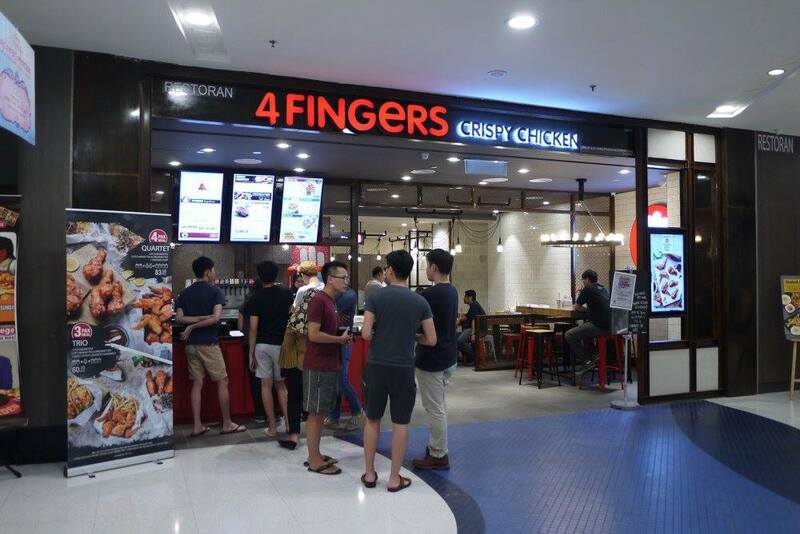 I always hang out at NU Sentral and see 4Fingers all the time. I'll be in KL next week and will be sure to drop by for a meal. Thanks for the alert! Loving these.. so yummilicious leh... But a bit too salty.. This looks very good quality food. Chicken lovers must visit looks like.